Light Design is a specialist company supplying laser hire equipment to events across the UK. We cater for all types of events all over the country supplying the finest laser equipment money can buy. We have over 20 systems in our fleet available for hire so if you are putting on an event that requires a stunning special effect lasers are the perfect solution. From our warehouse located on the London Essex border we are perfectly situated to offer expertly operated laser hire. London and the Home Counties, as well as all over the UK, is our key market. Light Design is perfect for any events requiring Laser Show equipment for any event whatever the occasion what ever the size of show! Light Design has many years experience in creating breathtaking laser show productions for a whole range of clients. The many types of events we have supplied equipment to over our 10years experience in the business has seen us work alongside famous sculptors and artists merging light with art to spectacular effect. We have supplied equipment to pop music videos creating a whole range of tunnel and vivid lighting effects around world class musicians. We have created stunning Aeriel effects for photo shoots working with models from all backgrounds. 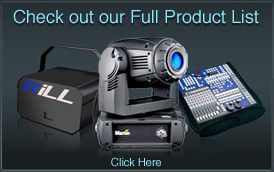 We have supplied equipment to a whole range of theatrical production that has seen us work outside creating time tunnels for a unique production. We have a massive portfolio of dance and live events as regular customers which has seen us work with almost every major company supplying high quality dance events in the London and the UK. Due to strict health and safety regulations Light Design use highly trained show technicians that understand, and adhere to and follow all health and safety guidelines laid down by the Health and Safety executive We operate a portable appliance tested (PAT) laser hire fleet and supply full risk assessments to accompany HSG95 applications as well as a carrying full Public and Employees Liability Insurance that allows us to work on any size show or event safely. We also have an up to date Health and Safety policy, so with this in mind, your show is safe in our hands. We have a whole range of systems available for hire ranging from 100mw (milli-watt) systems up to 10 watts. You can choose from our vast range of green or multicolour lasers and we are on hand to help with plenty of advice to ensure you get the most from us. Whatever your budget, all systems come supplied with a trained technician who will be able to program and operate your show. What ever you require, our lasers are capable of many effects so choose from stunning tunnels, sheets of light, grids, Aerial effects, graphics and animations, custom logo projection, text and star wars like beam shows. 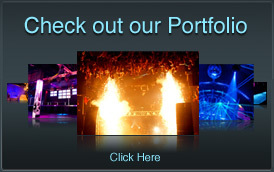 Use any of our high end laser show systems with mirrors and you can be sure of the very best effects. Now you know what we do, specialising in laser hire. 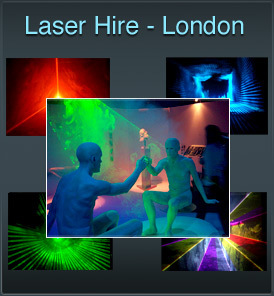 For all your requirements in laser hire London, Essex, England, the UK and beyond you know who to call! Contact Light Design and let us design a magical laser show that will wow your audience and make your event memorable for a lifetime.